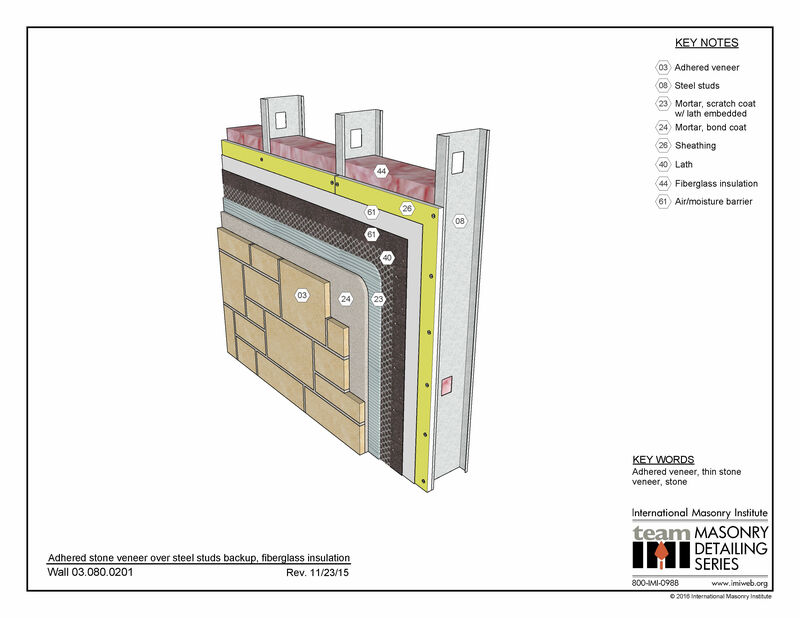 This wall system shows adhered stone veneer on glass mat reinforced gypsum board sheathing on a steel stud backup. Fiberglass insulation resides in the stud cavity. 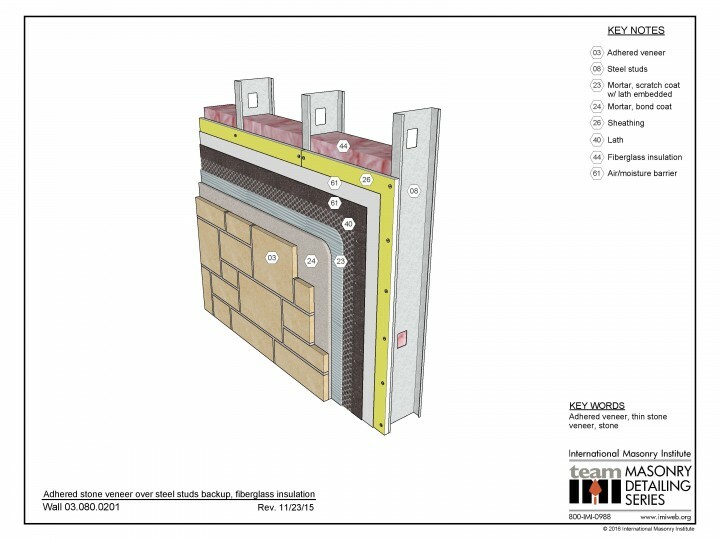 The thin stone veneer is bonded to metal lath with a base coat and bond coat of mortar, and the lath is mechanically fastened to the steel stud backup.